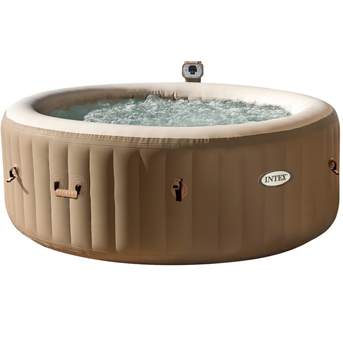 The INTEX inflatable PureSpa is the world’s best selling portable spa. Its easy-to-use control panel activates the high performance bubble jets for a refreshing massage. The heating system adjusts to fit your temperature preference allowing a stress-free spa experience.